Lion Queen: First Post- Birthday Haul! If anyone is there. This is my first blog post so it's highly likely that no one's reading this and I'm just typing to myself which is fine with me. I decided to start this blog and may also start making youtube videos, but I'm not positive about that yet. I have a lot of things to work out with my camera equipment and such. For my first post I decided to do a little birthday haul since my birthday was about a week ago now so let's jump in. He got me this Juicy Couture Viva La Juicy gift set from Sephora. It's amazing and i love this scent. It includes the eau de parfum, shower gel, and body lotion. Plus, the packaging is super adorable. Over the weekend me and my mom went to the mall to do some birthday shopping. See those amazing flats? Yes! I have been wanting studded flats for so long. I walked into ALDO and fell in love with those babies so quick I HAD to have them. 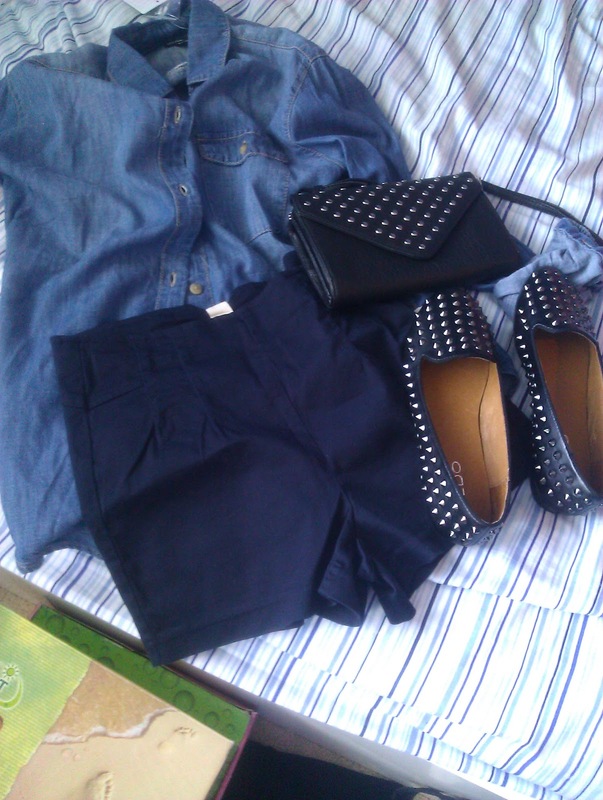 The little studded bag/wristlet and the denim shirt are both from urbanoutfitters, and the high waisted shorts are from Heritage. Well, now I'm gonna be checking out some blogs, gathering some tips, and subscribing to other people. If you like what you've seen here so far go right ahead and subscribe! I plan to be keeping up with this and posting often.